History Channel Geta began in the nineteenth century. In those days, had a dream to connect the Baltic Sea to the North. The Swedish government commissioned naval officer von Balthasar Platenu manage a project to create multikilometer channel. 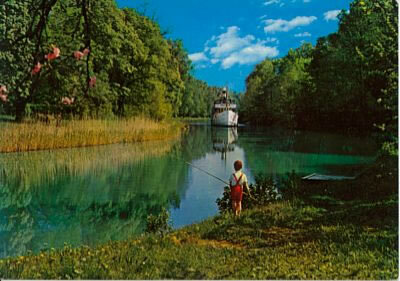 Construction of the canal began in 1810 and lasted 22 years. More than 60,000 Swedish soldiers worked on the construction of a unique channel, construction of which was later called "Millennium construction site." September 26, 1832 the channel was opened. Göta Canal - canal in Sweden, which connects the Baltic Sea north of the 58th parallel and the Kattegat, Sweden crosses from west to east. In the west, beyond the city Gothenburg, on the east to the town Söderköping. The total length of about 420 kilometers. The system locks allows the courts to overcome the 100-meter vertical drop. The channel are a total of 58 locks. In the channel includes a channel Trolhettansky, lakes Vänern and Vättern, and 190-km-long segment between the lakes and the Baltic Sea. Currently, one of the main tourist routes in Sweden. District canal annually visited by more than 3 million people. The channel is surrounded by magnificent scenery and beautiful panoramas of historical sites. 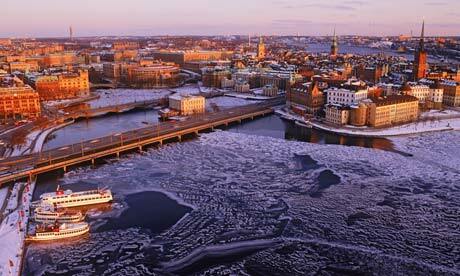 You will see thousands of islands of the Stockholm archipelago, lakes, fields, woods and dense forests. On the road you will encounter the ruins of ancient castles, medieval monasteries, castles, churches, houses of the 18th century. The full trip takes 4 days. Just along the canal laid a lot of cycling, equestrian and hiking trails. Mälaren - the third largest lake in Sweden. The area of ​​1140 square kilometers with a maximum depth of 64 m and an averagedepth of 13 meters. 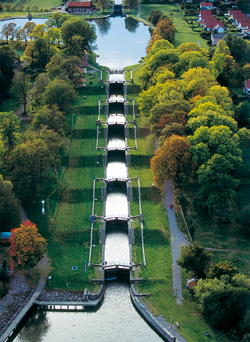 On the eastern shore is the outflow of the Baltic Sea through Södertälje Canal,Norrstrem, gateways and Slyussen Hammarbyuslyussen. The lake is located in the region Svealand, bordering the provinces of Uppland,Södermanland, Västmanland and Narke. The two largest islands in the Melarene: Villages and Svartshelandet, and more than 1000 islands. The lake is home to over 30 species of fish. There is a Scandinavian legend that the lake has created a goddess Gefion, which the ancient konung sveev Gylfe promised as much land as she could carry in one night. The goddess turned her four sons into oxen and with them moved towards the land of Denmark, where an island Zealand. And in place of the land - the lake Mälaren.